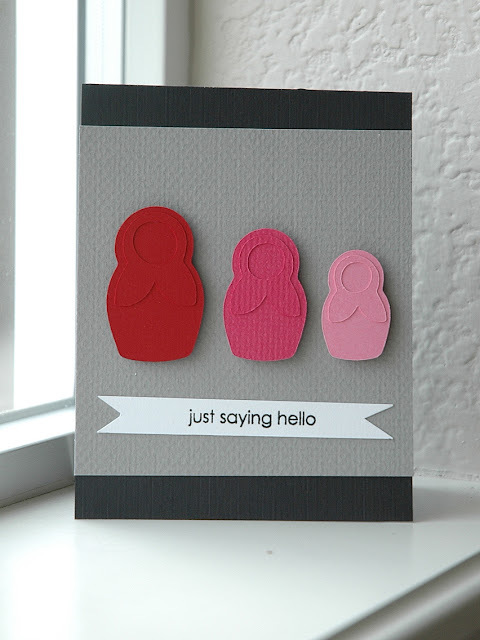 Maybe it was that sweet badge from the Just Keep Creating Challenge blog with the Matryoshka doll from yesterdays post, but when I saw the CASE STUDY muse card (see below), that's what I thought of. Big flower die cut, medium flower die cut, small flower die cut. For those who don't know what a Matryoshka doll is check it out here. I have included a photo from this site to show you what they look like. Laura jumps off a cliff...I'd consider it. JUST KIDDING LAURA!! why does it look crooked??? Note to self: "eyeballing" it at 11:30 at night is not a good idea! On another happy note. Suzanne Russel from Beauty and Blessings has bestowed me with the LEIBSTER AWARD. I am speechless. Thank you for thinking of my little happy place Suzanne!! CHUNYUAN http://dahliamemories.blogspot.com/. 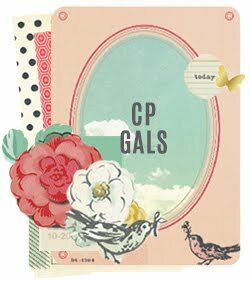 She makes very beautiful and timeless cards with simple yet POWERFUL designs. I would chose her cards to win every time. I am not sure why she doesn't have a million followers!! SANKETIJ http://sanketij.blogspot.com/. Her photos are soft and her cards take me to pretty places. There is a gentleness to her work that is hard to describe without seeing it. You'll nod in agreement when you do. DEB http://mycraftroomcreations.blogspot.com/ She scrapbooks, she sews, she is dynamic and so are her cards. They are CASE-able, clean, with a pinch of pattern. XIUMAIYUKI http://xiumaiyuki.blogspot.com/ She makes happy cards. Her color palate is usually what I call "spring rainbows". She uses a lot of white space making her cards approachable and visually pleasing. There isn't a lot of complication to confuse you. You look at them and you like it. Awwww Wida! You're such a sweetie! I'm so honored that you would think of me for this. 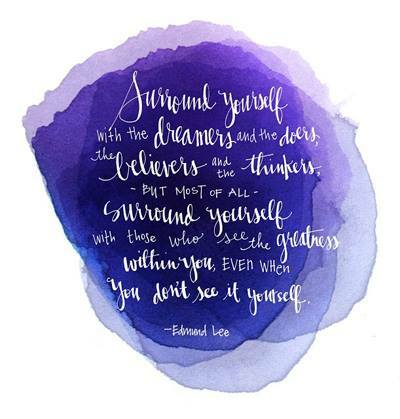 And I like to think that the inspiration goes both ways:) So glad to have met you! OMG!...Thank you soooo much Wida, you have made my day! love the way you have taken the time to write the brief...thanks again I am honored! Can I just tell you... your post and your card today make me a VERY happy person?!!! How darling are those dolls. Such a perfect CAS! Thanks for the nice word about my little blog. You made my day. Love your take of Laura's card. These CAS dolls are fabulous. I love the graphic feel of your Matryoshka dolls in your card design. Blessings! Love your dolls! Thanks for joining us at CASE Study this week! Really pretty...love the bold colors and simplicity of the dolls:)!! Wow this is gorgeous !! !